Takeaway: Condition assessment is vital for keeping pipes properly maintained, and allows for the discovery and repair of problems before they become serious. Silently and efficiently, millions of gallons of wastewater from homes and industries flow under our feet every day in miles and miles of pipelines, thanks to a vast sewer network crisscrossing beneath our city streets. Tirelessly these sewers convey polluted water far away from human habitation to wastewater treatment plants that treat the water before properly disposing of it. In effect, a good sewer and water network is the backbone of our civilization because it helps keep our homes and cities clean and livable. Unfortunately, these networks, once established, are largely ignored for decades, leading to their deterioration and ultimate failure. It has been found that most municipal sewer systems are 60 to 100 years old and on the verge of a breakdown. Not only is a failed sewer system harmful for the environment, it is also expensive to rehabilitate. This is where condition assessment comes into play. Condition assessment is essentially an effort undertaken by concerned municipal authorities to ascertain the condition of existing utilities. It helps determine the structural integrity of the pipeline, its remaining service life, need for replacement or rehabilitation and assessment for future needs resulting from population growth. While condition assessment comes at a price, it is much cheaper than having to inspect and repair a failed system. Costs associated with performing an assessment include costs for data collection, appropriate equipment for monitoring and inspecting, and labor for conducting the inspection. Early identification, leading to the use of rehabilitation methods that are less expensive. Identifying problems and taking appropriate measures based on maintenance or capacity issues. Helping identify previously unknown problem areas that could result in major maintenance issues. Helping schedule maintenance programs, avoiding unplanned service disruptions. Helping reduce costs associated with emergency maintenance requirements by identifying serious problems before they become emergencies. Helping in planning and prioritizing projects based on rehabilitation or replacement. Helping create a log that works as a guide and also ensures that maintenance schedules are not deferred or pipelines are not overlooked. Condition assessment can be carried out by following the steps roughly outlined below. Without objectives the assessment process will not yield satisfactory results. The basic questions to be asked are: "Why do you want to carry out the assessment?" and "What you plan to achieve from it?" The objectives of condition assessment can vary from operations and maintenance needs, increasing efficiency/capacity and improving service to regulatory compliance, risk assessment and funding for maintenance. Any selected program design should include objectives to understand how the pipeline is performing, its remaining service life and its structural integrity. Identification and inventory are essential in developing the assessment program because relying on existing data may leave out recent additions and the data in itself may be incomplete. Compiling all data, past and present, into an organized spreadsheet will help in preventing oversights while performing the assessment. 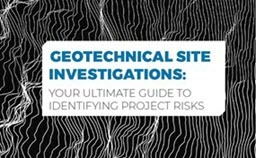 Failure risk can be assessed by collating data from the system relating to past failures or that from research done on similar conditions such as pipe material, service life and type of soil bedding in other utility districts. Large diameter sewer pipes, force mains and some other critical elements of a sewer system are sometimes difficult and expensive to inspect, but addressing them is also necessary in order to reduce risk of failure and consequently avoid high repair costs. Asset inspection gives the current status of an asset in terms of its structural stability, rate of deterioration, capacity and need for repair or replacement. An inspection plan should be put into place to outline assets that are to be inspected, how to inspect them and when to inspect them. Inspecting an entire system is very expensive and hence prioritizing based on the purpose of condition assessment is essential. For instance, in order to assess risk of structural failure in an old sewer network, concentrating on pipelines with high risk is a good place to start. After assets have been inventoried and inspected, the data obtained is organized and analyzed. Comparing previous data can also help determine if some areas show a trend toward a particular type of problem. Data management and analysis can be done using asset management and condition assessment software available in the market. Software has the additional advantage of incorporating geographic information system (GIS) mapping into the system that helps understand location such as proximity to schools, hospitals, railroads, etc., and thus understand the criticality factor of a utility better. Structural defects and level of service provided by a pipeline should be quantified, processed, evaluated and analyzed. The results of the inspection along with reviewed data and suggestion of the concerned engineer should be used for the final step, i.e., final condition assessment. The final condition assessment will involve making calculated assessment about high risk and critical pipelines that need repair or replacement. Acting on the assessment before further deterioration or failure occurs is what condition assessment is all about. Action taken should begin with pipelines that are at highest risk of failure and those that will have the greatest impact on the community or environment. It should also include alternatives that can be used to prevent failure and also the cost associated with rehabilitation or replacement of the asset. Future intervention needed should also be outlined in order to manage the assets at the right time by conducting failure risk analysis and remaining life estimation. When the structural condition of a pipeline has degraded or its operation and maintenance is impacted by deposition of sediment, I/I, tree root intrusion, etc., the pipeline will need to be rehabilitated. Sometimes the condition of the pipeline may even require complete replacement. Irrespective of the cause for repair or rehabilitation, trenchless rehabilitation methods such as cured-in-place pipe (CIPP), sliplining, pipe bursting and thermoformed pipe literally give the pipes a new lease on life by extending their service life. Condition assessment also helps in preventing emergency situations and excessive costs associated with unplanned repair and rehabilitation work.